Shanghai – October 30th 2017 – In the annual selection of “Best Recruitment Service Providers in China 2017”, ZW HR Consulting won “Most Innovative Award for HR Service in China” which is organized by Enfovia Group. 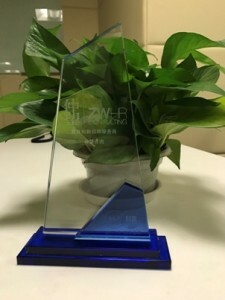 This award aims to highly reward ZW HR Consulting’s significant contributions and outstanding achievements, in promoting the development and progress of HR management in China. The award aims to recognize the most excellent performer and service provider in the recruitment sector. The grand ceremony was held in Renaissance(R) Shanghai Yu Garden Hotel on 25th Oct 2017. 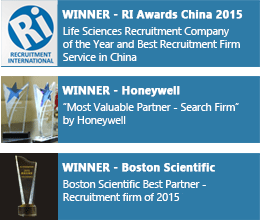 “Winning an Innovation in Recruitment Award is a great acknowledgement of how our highly effective recruitment model that is making a difference within China and Asia. It showcases our ability to assist organisations to identify and hire the best people to grow their business.” said Joyce Jing, General Manager at ZW HR Consulting. ZW HR Consulting provides recruitment solutions focused on mid-senior level professionals. Originally founded in Shanghai in 1998, ZW HR has since grown into one of the biggest headhunting recruitment firms in Asia. With 10 offices across Asia, ZW HR Consulting currently has over 200 employees. As of 2012, ZW HR Consulting became the exclusive member of InterSearch Worldwide. Established in 1989, InterSearch ranks as one of the top international executive search alliance organizations in the world, with 90 offices in over 50 countries.